Happy Friday, everyone! 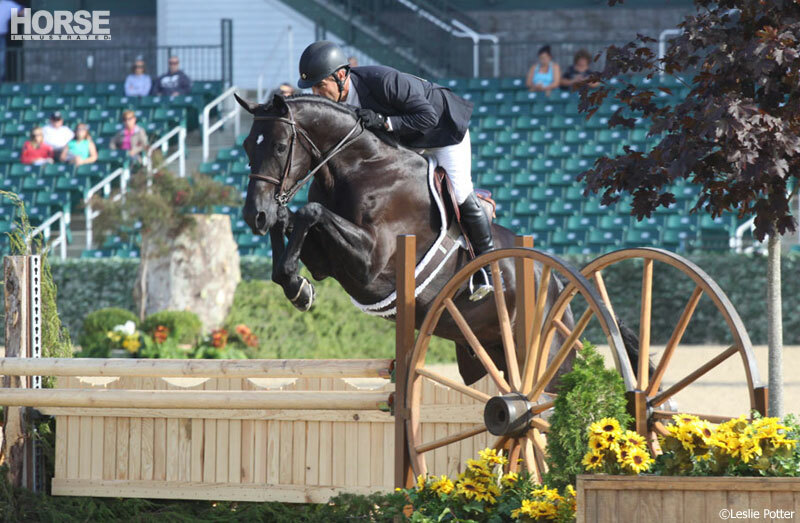 Here are your big news items from the horse world for this week. Recall Alert: A few incidents of HDR Pre-Stretched Stirrup Leathers breaking during use have been reported. As a result, U.S. distributor JPC Equestrian has issued a recall; you can return them for a refund. I once had a stirrup leather break the first time I used it, but it’s because I bought the cheapest ones I could find. Some things are worth paying extra for. The HuffPo is talking about horses in this thorough listicle about why “You Should Learn to Love These Underappreciated Animals.” The real news here is to me that horses are underappreciated. Not in my house, they aren’t. 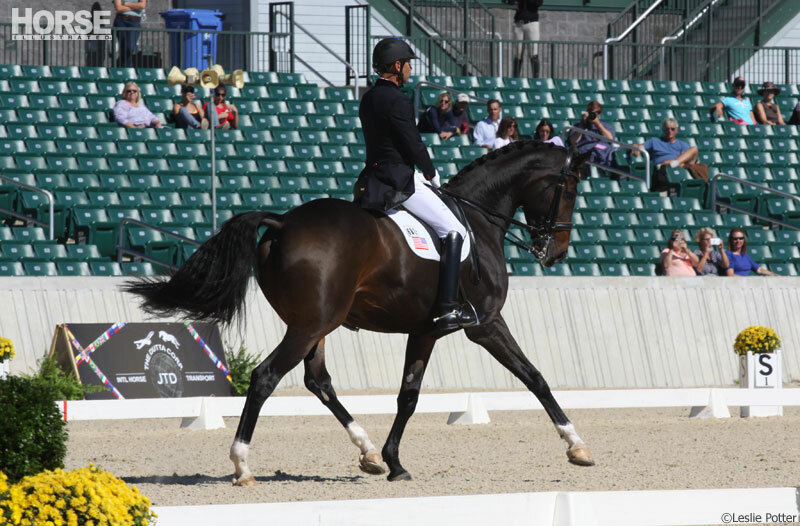 The USHJA International Hunter Derby Championship is taking place right now. If you’re reading this before the evening of Saturday, Aug. 16, you can still catch the final rounds on USEFNetwork! If you missed it, you can instead go check out my photos from the Classic Round. This Wall Street Journal article about the upcoming 2014 Alltech FEI World Equestrian Games starts out with overly flowery writing about the horse’s history with mankind, so I was prepared for the worst. But this is actually a good general overview of all eight disciplines. I don’t know what “Don’t you miss Harvey?” means (see the show jumping buzzwords section), and I’d be appreciative if someone could tell me in the comments below. 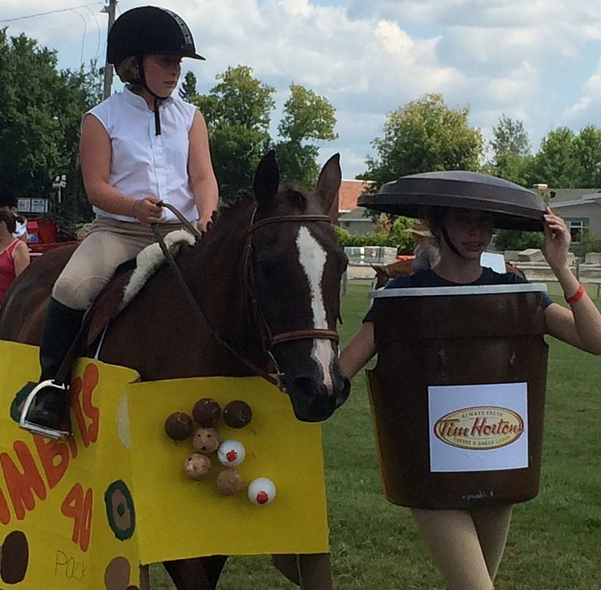 “Horse Gets Dressed up as a Timbit Box at a Local Horse Show.” News? Not really. But it’s cute and it made it on to a blog about Tim Horton’s (via horses.are.my.wings on Instagram.) Also: there exists a blog about Tim Horton’s. FEI President Princess Haya has announced that she will not seek a third term. This makes sense because her first act as president was to implement a two-term limit on the office. As of right now, Swiss businessman Pierre Genecand is the only person with a hat in the ring. If you’re thinking about running, you should know that it’s an unpaid gig, which is probably why the role has been filled by royalty for so long. Lots of WEG announcements this week. The U.S. teams have been officially selected (all except vaulting, it seems), and now we just have to wait for them to get over there and win some gold. USA! USA! In this column from Forbes, the writer lovingly describes how his father scammed a horse seller out of a fair price and then scammed a family into buying the same horse for an inflated price. That may not be exactly how he framed it, but that’s pretty much how I read it. Is there a “Most Beautiful Horse in the U.S.” contest? Because Russia has one for their horses. A Friesian named Oligarch won. He earned the title after—and I’m quoting directly from the article here—”seducing the judges with [his] smile and dance moves.” The photo in the article is not actually Oligarch, by the way. It’s the photo used on the Wikipedia page for Warlander, which I just learned is a cross between a Friesian and an Andalusian. C’mon, Moscow Times. 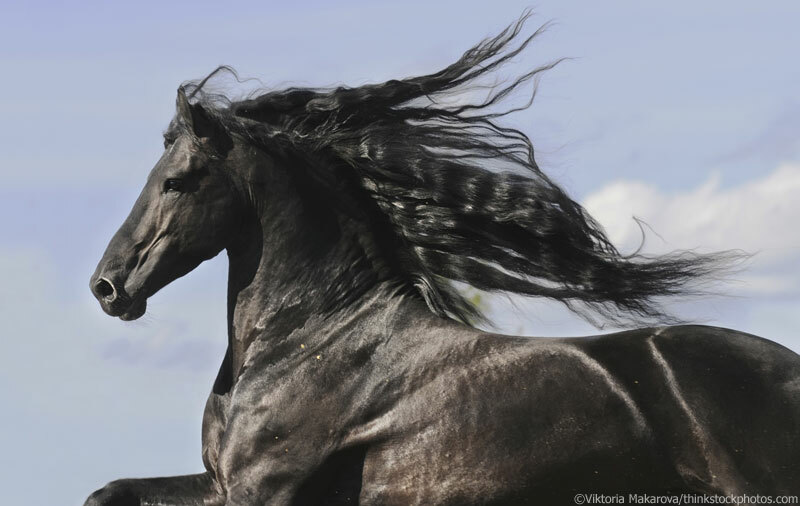 How hard is it to find a stock photo of an actual Friesian? A lot of interesting new in this article. 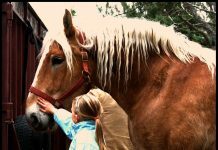 I did not know about the recall, nor the most beautiful horse in the world.